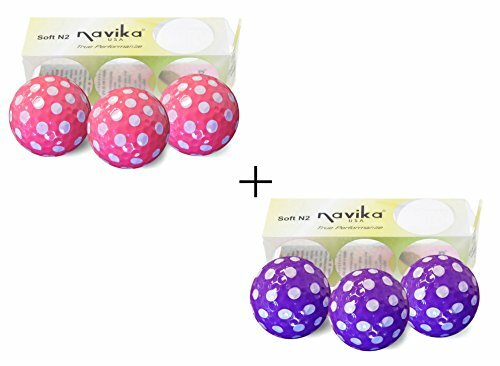 These purple and pink polka dot balls make it easier to see your ball in play. With a lower compression for slower swings, these are ideal for any age golfer! These shiny golf balls are fun for both men and women and they conform to USGA regulations. Packaged 3 balls per box (2 PACK COMBO). Match your BLING Golf Balls with Navika Ball Markers - Check them out under Accessories for this product! Great for Golf Tournament tee prizes. Ladies we always need more bling in our golf game right? If you have any questions about this product by Navika, contact us by completing and submitting the form below. If you are looking for a specif part number, please include it with your message.